Dr. Thomas and his team of expert care professionals at Hamilton Physical Therapy provides quality rehabilitation services to patients after they undergo surgeries. Contact Us to Get Started Today! Rehabilitation refers to a vital part of the health care process in which people undergo physical therapy after an injury or surgery. The goal of physical therapy and rehabilitation is to restore as much function as possible after the injury or surgery. Rehabilitation may go on for months or years, depending on the severity of an original injury and the specific care a patient needs. At Hamilton Physical Therapy, Dr. Thomas will facilitate your rehabilitation to maximum recovery. Call 410-444-2770 or book an appointment online to meet with Dr. Thomas! Who Benefits from Post-Surgical Rehabilitation? Rehabilitation after any orthopedic surgery is a crucial component in helping patients improve their range of motion, increase their strength and function, and improve their quality of life. And the sooner a post-op patient begins care, the better! Studies show that rehabilitation tends to be more successful when therapy starts early, with appropriate frequency and intensity given the patient’s history. Why is Rehabilitative Movement Necessary after Surgery? After an injury or surgery, scar tissue forms and soft tissue contracts. Without regular movement, this damage can lead to pain, limited movement, and other problems. On the other hand, aggressive stretching and movement can injure the healing tissue. Physical therapy addresses this issue by ensuring a patient is properly stretching in a way that supports recovery and good health without endangering the surgically repaired or originally injured tissue. 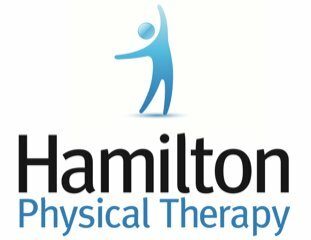 Why Should Patients Seek Treatment at Hamilton PT? We are a private physical therapy clinic in the Baltimore area that provides expert care via a board-certified physical therapist practitioner. Our doors are open to all, and our team will always make sure that we personalize and deliver the right treatment to you. We will also work with surgeons, attorneys, or case managers as needed to help you regain normalcy in your life! Call us at 410-444-2770 or book an appointment online to start your care journey today.